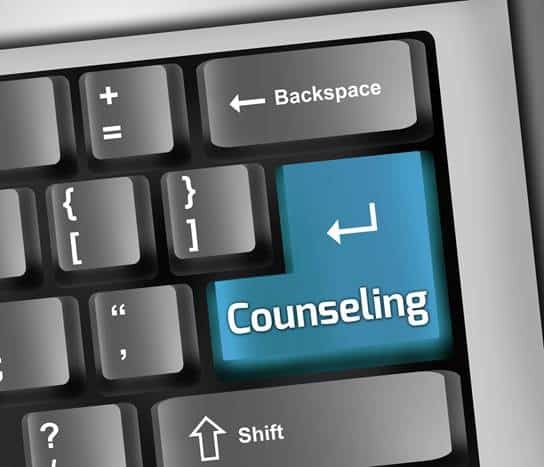 How to Find a Good Online Therapist – Kathy J. Marshack, Ph.D. So you want to begin therapy. This is a worthwhile investment in yourself. As you examine different therapy options, you may conclude that online therapy is best for you. Maybe it is challenging to find someone in your area who can effectively help you, or perhaps your busy schedule makes it difficult to make it to a therapist’s office on a regular basis. The wonders of technology have made it possible to find and get anything with the click of a button. Finding a therapist online has never been easier. Unfortunately, it has also never been easier for people to disguise who they really are and make claims that are unfounded or outright false. There are many so-called “therapists” online who lack the education, experience, and certifications to genuinely help you. Verify their license. Did you know that the terms “therapist” and “psychotherapist” are not legally protected words in most states? This means anyone can claim to be a therapist and offer therapy services. A licensed therapist is trained and qualified to practice, and they are held to high standards of conduct. This is also gives you recourse if there are problems with your treatment. So make sure to check their license. A quick phone call or email to obtain the license number will do the trick. In most states you can verify the information online. And if they get defensive, that’s a big red flag! Ensure the site or app is HIPAA-compliant and secure. The beauty of therapy is that clients have a safe, private space to share their most personal stories, thoughts, and emotions. Privacy is an absolute necessity. So when looking at an online therapist, check that their website or app platform is completely secure. At minimum it should comply with HIPAA standards for patient privacy and confidentiality. Interview the therapist. Make sure you are comfortable with them and that their therapy style and personality work for you. Chat with them for a while to ensure they have the qualities you particularly need or value in a therapist. Also, take a look at what you see on your screen. Are they in a professional, private location or are they in a coffee shop? Are they dressed professionally? Is the camera adjusted where you can see them clearly or does it look like they are doing this for the first time? Ask questions. You are a paying customer. You have the right to understand the therapy offered and to clarify information that will influence your experience. Ask any and all questions you need to make an informed and comfortable decision. Trust your instincts. If, after following the above steps, you still don’t feel comfortable with them, trust your gut and move on! To get the most out of your therapy you have to feel completely comfortable and safe. Do what it takes to find that safe space with an online therapist. I offer online therapy and have found many clients love the convenience of meeting with me from the comfort of their own home. In order to protect your confidentiality, I utilize HIPAA-compliant software. I also always conduct sessions in the privacy of my office. Note that online therapy is only available if you live in Oregon, Washington, or abroad. For patients in any other state, I offer remote education services. And please feel free to ask any questions!